This product range of hampers and gift baskets is for rest of World delivery only. For the full range of countries and international delivery options see Send Hampers Worldwide. The hamper selection below can be delivered Worldwide without issue, we take care of customs and delivery paperwork. All orders sent on an express air service, so delivery is usually within a few days. Order online today and make someones day on the other side of the World. 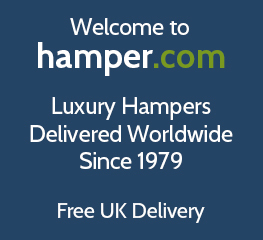 Hampers and Gift Baskets delivered Worldwide without hassle. Fast International delivery with all orders upgraded to an express air service with DHL for quick, efficient delivery usually within just a few days of order. If you are keen to find out more about our hamper delivery services across the world, or want to learn about the potential restrictions of the contents of your hamper before you place an order, simply get in touch with our friendly team. Give us a call direct on +44(0) 1235 833732 for more information.